Enjoying all the free shows and venues during the Olympic Games but not a big fan of the lines? Surrey’s Celebration Site is offering a wide range of free concerts without the long waits. Line-ups to get in to the Vancouver LiveCity sites have been upwards of 1.5–2 hours, but the Surrey Celebration Site at Holland Park has managed to keep line-ups to a minimum. The performers have included many that have been seen at LiveCity and the Richmond Ozone sites. Some bands that have already performed include 54-40, Blue Rodeo and Hot Hot Heat. 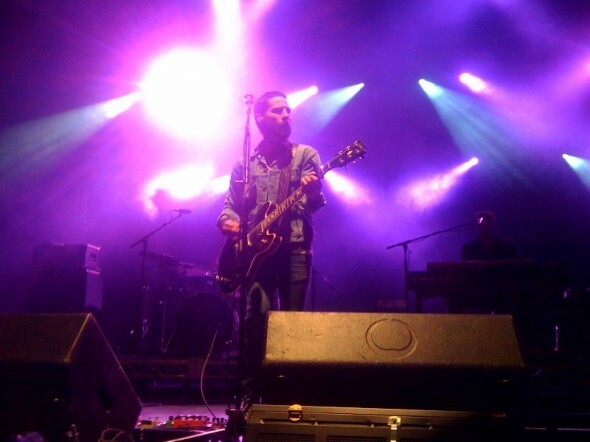 Sam Roberts Band took the stage on last Saturday and blew the crowds away with their usual hits. Patrons took in an amazing set, and even had the opportunity to get some signatures with some band members. Over the next week partygoers can still expect to see Tokyo Police Club, You Say Party, We Say Die!, Marianas Trench, Ill Scarlet, and Wide Mouth Manson. The site is host to “Surrey House,” a licensed venue with live music and coverage of the games. The Surrey Celebration Site also offers free ice skating, curling, art and cultural showcases, agility dog show, and the famous RCMP musical ride (which you should arrive earlier for if you want to get free tickets). You can still get in on the action starting this Wednesday through Sunday, when the events will close with the rest of the Olympics.